Anyone in the consulting industry (whether your focus is performance, technology, environmental, or just about any other type of consulting) knows that consulting firms face a number of business challenges. Of those business challenges, marketing and sales find itself at the top of the list. As you can see below from the research Hinge did last year, 81% of management consulting companies struggle with “attracting and developing new business”. So whether you are a freelance consultant or an establish consulting firm, rest assured there are proven ways to attack new business development. What’s great is that this doesn’t require cold calling, cold emailing, or any of their other disruptive (interruption) marketing tactics. Rather, it requires you taking a look at your existing consulting website and evaluating its performance. Are prospects finding my website online? Am I currently generating net new business through my website? Has my website been updated in the last 2-3 years? Is the website responsive or mobile-friendly? If you answered “no” to any of the questions above, it might be a good time to consider investing in a new website or revamping your existing site. Rest assured, below are great ways of how you can turn your consulting website into a lead generation machine. A machine that is working hard 24/7 to help your business develop and attract new business. First, let’s start with your current website is probably failing you. You have probably heard of the term “brochure” website before, but in case you haven’t, this is a term coined in the early 2000’s that stems from the mindset that simply having an online presence is enough to meet your company’s marketing goals. These types of websites for consulting firms lack the substance and ability to engage an audience like a well-crafted consulting website should. What is a “brochure” website? A “brochure” website is kind of like having a storefront in the middle of the country without any access roads, street lights, store windows, or sales staff available. How could you even expect to get people in through the front door, let alone drive revenue in a store like this? Let’s say you get lucky and someone manages to stumble across your store but after browsing your inventory they decide not to buy today. Will that customer ever return, or will you possibly lose them to a competitor down the road when they are ready to buy? We can take it a step further and say that by some miracle you are able to get a good amount of foot traffic, but products aren’t leaving the shelves. How will you assess the situation and make improvements to increase your sales conversions? Now putting this back into the context of a consulting website, you should ask yourself if your site is set up like this poorly optimized storefront we just mentioned, or do you have a professional service website that is well equipped to generate leads and help convert opportunities. Digital expert, Jayne Reddyhoff, describes the problem like this: a brochure website ‘would only allow people who already know the product to find it, rather than someone who’s looking for a solution to their specific problem’ (Smart Insights). 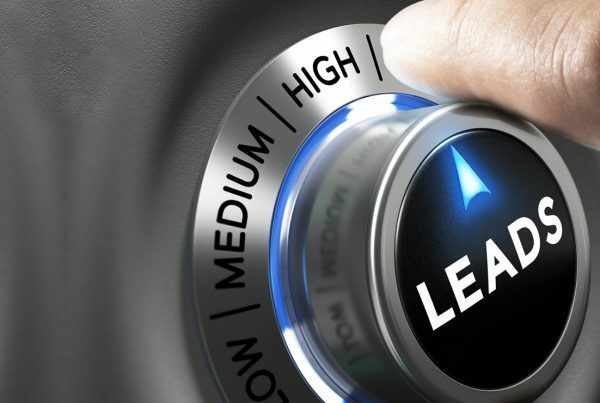 If you think your site might be leaning more towards the brochure type or you aren’t quite sure, stay tuned and we will show you how to turn your consulting website into a lead generation machine. Today more and more businesses are taking the holistic approach towards digital marketing. This means thinking beyond traditional “brochure” websites and focuses more on creating an online presence that includes rich content and well-crafted inbound marketing strategies. In order to move away from the “brochure” web site mentality, you must also shift your thinking in regards to the value of your website. Your website is not just there to serve your existing clients or potential referral clients. Instead, your website should be looked at as a hotspot for highly educational information and content optimized to attract your ideal prospects as they search for solutions or services that you must offer. We encourage you to keep an open mind and first evaluate what online marketing opportunities exist prior to making any assumptions. In our Discovery Process, we show clients exactly what types of keywords and search volumes they can expect from their ideal prospects before making the decision to invest in a full blown web activation or inbound marketing plan. The goal is to evolve your current website into a true lead generation website for your consulting firm, where content creation is at the center of everything. For this content to reach your audience, there should be a clear cut strategy to measure and develop the site so that it becomes a lead generation machine. This means carefully choosing short and long tail keywords that accurately reflect your business services, and that resonate with your target audience. These keywords should be included through professional, yet natural copywriting on your site. Quality messaging content should extend well beyond your basic on-page copy, you should also be creating valuable eBooks, White Papers, Blogs, and other content that services very specific purposes along the buyer journey. This type of engaging content can be gated or have embedded calls to action (CTA) in order to help you acquire new leads. Prospects rarely mind exchanging their contact information in exchange for information they believe can solve their problems. This can be strategically crafted and executed with laser precision in a well thought inbound marketing plan. Acquiring high volumes of traffic might sound great, but what you should be after is attracting highly relevant traffic from prospects that you want to do business with. This requires listing out your ideal customer personas to best optimize your consulting website. Persona development should be a mandatory process for each B2B company looking to further their marketing efforts online. Your personas serve as the North Star for your digital marketing. All too often companies jump the gun and begin rolling out websites, marketing campaigns, and paid advertising without acknowledging the specific interests and behavior of their ideal customer profiles. This process is quite fun and you can even make it a little easier by using some of your existing clients that you consider to be ideal. Give your customer persona a name, some general interests, and most importantly their underlying problems that you might be able to help solve. Keep these personas handy because you will be referring to them in each of your marketing initiatives and assignments. In regards to your consulting website, one of the immediate benefits you will see when attracting relevant prospects to your website are improved bounce rates and conversion metrics. Qualified traffic means an increase in engagement across your site, and an uptick in lead generation as well. In 2016, 71% of companies who exceed revenue and lead goals have documented Personas. Now that you have your ideal customers in mind as you are writing copy for your website, it is time to give your users something to bite on to. Every successful B2B consulting website is equipped with strategically placed and well written out call-to-action’s on each of their pages. We must first point out that CTAs should not be a one size fits all approach. The days of CTA buttons simply stating “submit” or “send” are over. Each CTA is there to serve a very specific purpose. For example, if you are an environmental consulting firm, you may want to write copy on your CTA that reads, “Request a Free Site Survey”. The goal with CTAs should be to focus on the value proposition and benefits to spark your prospects interest. 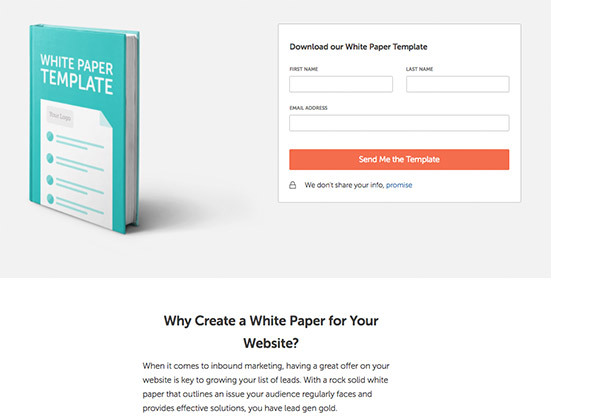 When CTAs successfully do this, you see a much higher conversion and an increase in leads being generated across your website. Hopefully by now you have identified the various stages of your customer journey or the buying cycle. If you haven’t already, now is a great time to do that because CTAs should be clearly laid out to supplement offers you have along each stage of the buying cycle. Some call to actions may simply be created to get users to subscribe to your newsletters, while others like “download demo” or “request a consultation” are much further down the funnel. Eye-Catching Design – Incorporate a color that compliments your banding guidelines but offers a good contrast so that the CTA clearly stands out. Clear Value Proposition – People should know exactly what they are clicking on. For instance, it should be clear if they can expect to get an eBook download or a software demo. Align Your CTA with a Specific Stage in the Sales Cycle – Tailor your CTAs and offers for a specific stage of the buying cycle. By providing content relevant to where this buyer is in their journey, you have a better chance in creating a lasting connection. Invest the time and energy into a well thought out CTA strategy and you will see the fruits of your labor. There will be an uptick in leads generated including leads that are well aligned with your solutions. We are in the information age, where people search the web to find answers. In 2016, there were over 2 trillion Google searches. There are a lot of people looking for answers and this gives B2B marketers a great opportunity to educate. When you focus on creating educational content more than just promotional content, you have a much better chance of gaining the trust of your prospects. We have a general rule of thumb where we recommend making your content 80% educational and 20% promotional. Prospects appreciate this because they value the knowledge you provide, and if they are in fact learning, they don’t mind the promotional side of the content either. If you are the owner of a up and coming consultancy or a B2B marketer who is competing for space online through inbound marketing efforts, your top priority should be to create educational content. A good way to think of it is to imagine your content marketing plan as the vehicle and your educational content as the fuel. Your educational content is what is responsible for attracting people to your consulting firms website and it helps convert that traffic into qualified leads. Tip 1 – Tell a helpful story – Your top goal should be to provide a helpful experience for your end user, and a great way to do that is through effective content marketing. Regardless if you are creating content that is video, audio, email, or blog based, telling a helpful story will assist prospects with making well-informed decisions that they are confident in. Tip 2 – Create interactive content that engages – There is a good chance your prospects are scouring the web and reading content from various competitors prior to making their buying decisions. Try and take the time to create content that is truly original and highly engaging. If all your competitors are just blogging and writing eBooks, consider developing interactive infographics and engaging explainer videos. Tip 3 – Become a thought leader – Don’t be afraid to showcase your subject matter expertise and create engaging how-to content. This will portray you in the light of being a thought leader. You don’t have to worry about giving away too much information because most prospects are still looking for someone to fulfill the work. Also, the more they know how you think and what you know, the more confident they are in choosing your company. Tip 4 – Personalize the content experience – Once you manage to capture a prospect’s contact information, you now have a great opportunity to begin to personalize content for them. You should be delivering content that is relevant to them via email. On top of that you can personalize the messaging in the email so they feel like you are addressing them directly. Tip 5 – Educate your current clients – In addition to creating content for new leads, you also want to be creating content that also helps retain your current client base. You can look to help cross sale and upsale. If you are currently considering the implementation of a marketing automation tool, it can help automate the distribution of your content to your current customers. Once you decide to ditch your old brochure site and invest in a lead generating consulting website, you are going to have to start thinking of your inbound marketing automation tools. Marketers using automation software generate 2X the number of leads than those using blast email software and are perceived by their peers to be 2X as effective at communicating. (Autopilot, 2015) Your goal now is to be able to nurture prospects with content that is highly personalized and helps convert those prospects into happy clients. Investing in inbound marketing software will help generate significant new opportunities and revenue for your company and the ROI is realized right away. Depending on the size of your firm and your deal flow, there are a number of different marketing automation platforms you can choose from. For startup companies operating on a tight budget we might recommend an inbound marketing software solution like Hatchbuck that starts off under $100. Many of our small and mid-size clients love the ease of use and user friendly UI that Hubspot has to offer. For larger enterprises and legacy sized companies, Oracle’s Eloqua marketing automation tool is very popular since it can easily integrate with 3rd party CRM platforms like Salesforce. 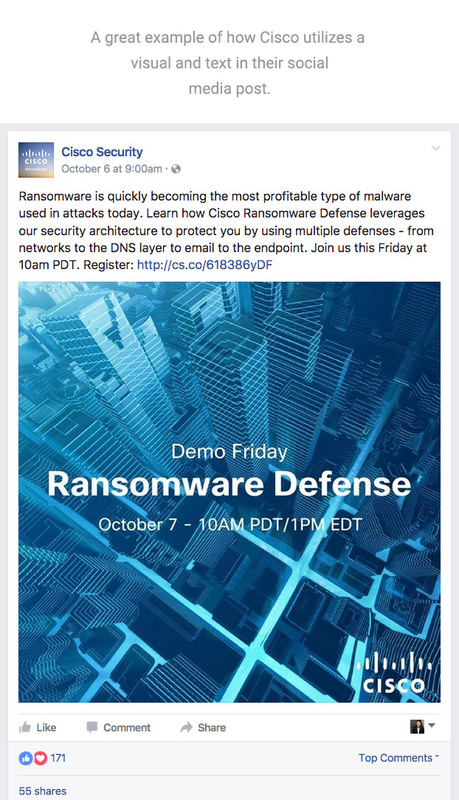 Is free training included with your purchase? If not, how much is it extra? Does the software integrate with your current CRM solution so that information can flow freely between the two platforms? How does pricing scale? Most platforms charge based off database size and user seats. Ask if the software is designed to be used for both your sales and marketing teams. Be sure to ask how each team can use it. Learn about the metrics and reporting features. What metrics are available to track campaign performance? Are reports customizable? Does the software offer responsive mobile optimized landing pages and forms, as well as responsive email templates? Are there any additional mobile technology needs that you have? What additional resources does the inbound marketing vendor offer? Providers like Hubspot offer great eBooks, blogs, and webinar resources that can help supplement your marketing knowledge base. The strategies and tactics outlined above are no small task, but if you begin to chip away at them, you will see your old brochure site evolve into an effective lead generation machine for your consulting practice. Remember to focus on creating helpful and engaging content that your prospects will consume along the various stages of the buyer journey. This will help convert new visitors to your site into warm leads. Make sure your consulting website is optimized not just for traffic acquisition but also for lead capture as well. Leverage CTAs that are paired with relevant content across your site so prospects can easily grab your content in exchange for their valuable contact info. Clearly identify your target audience by constantly updating your buyer personas throughout the year. Every time your company rolls out a new product or service, you will likely be opening doors to new types of customers. So be sure to outline that buyer type so you can be well prepared to effectively market towards them. The use of inbound marketing software will make your life much easier as you organize your marketing activities and manage your new lead generation machine. Social media has evolved into an ever growing platform for B2B businesses to promote their products and reach out to potential consumers. More and more people are using some sort of social media everyday which is why it is important to develop a social media marketing strategy, whether it is a campaign shared through Facebook, Twitter, Instagram or even Snapchat. This is a prime opportunity for companies to engage with their customers seeing that Facebook has 1.71 billion active users and Twitter has 313 million active users (Zephoria) (Twitter). You may ask yourself, “why are companies having a hard time using social media as a marketing platform?”. Here are five examples and tips of what B2B companies and marketing professionals should be doing to make social media marketing more of a success. A lot of B2B businesses believe they can post content on their social media and that is enough to garner interest in their content. However, that is not the reality we live in. 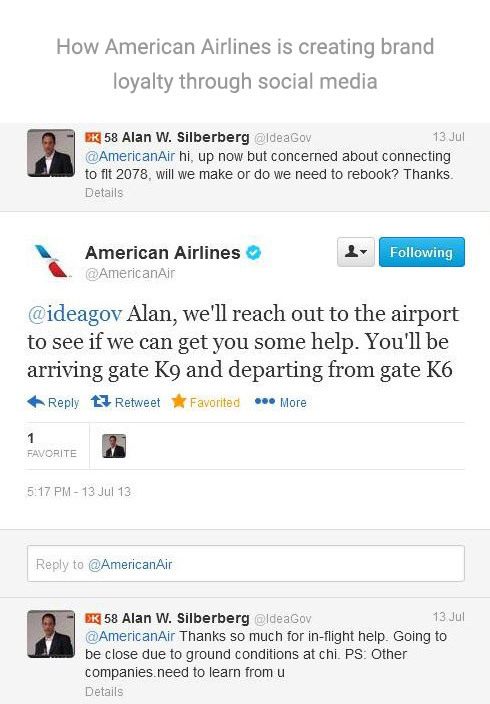 Once a company posts on social media, they need to be ready to communicate with anyone that interacts with their post. 78% of marketers said they saw increased traffic with as little as 6 hours a week invested in social media marketing (Social Media Examiner). With the increased traffic produced from investing only 6 hours in your social media, more leads will be generated. 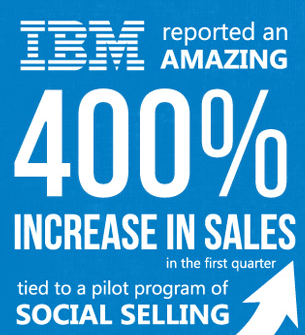 See the infographic below on how IBM took advantage of a unique social media campaign. Keeping an active presence on your social media is important in building the key relationships via social media your B2B company needs to effective social media marketing. Does my target audience use this platform? 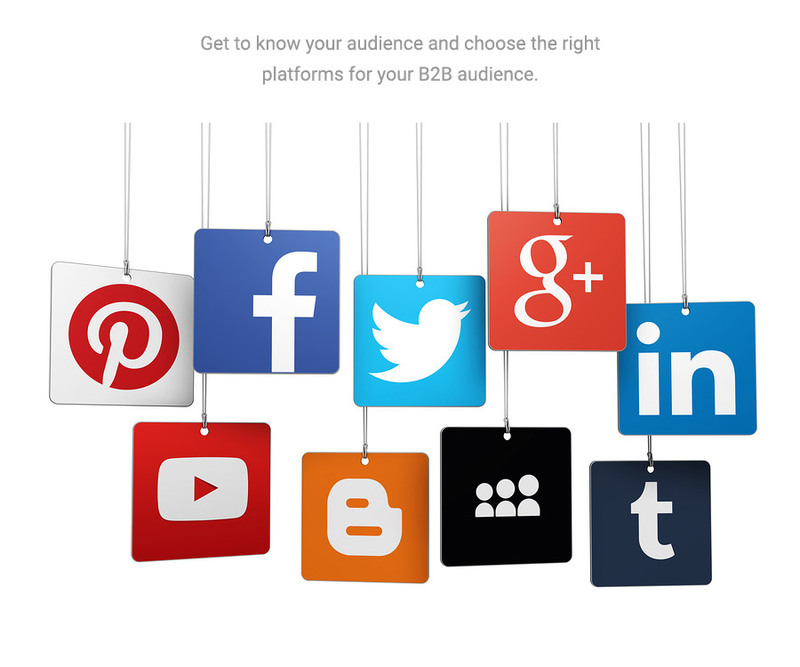 Does the platform relate to my B2B business’s needs and social media strategy? Buzzsumo found that when someone posts on Facebook, a post with images receives about 2.3x more engagements than those without (Buzzsumo). What this means is that for every one like you get on a post without an image, you could have had at least two more with an image. It is natural to be more attracted to an image rather than a lengthy text post. People are more visual learners and by giving them images instead of text, they will be able to understand the information much better. Now you cannot just post an image and wait for the people to begin flooding in. You have to post a relevant picture to what you are talking about. About 54% of B2B marketers said they’ve generated leads from social media strategies and posting with compelling visuals and graphics could help to increase that number even more for your company (Rick Whittington). If people are not finding your B2B website organically, you may have to explore the benefits of paid advertisements to attract people to your website. 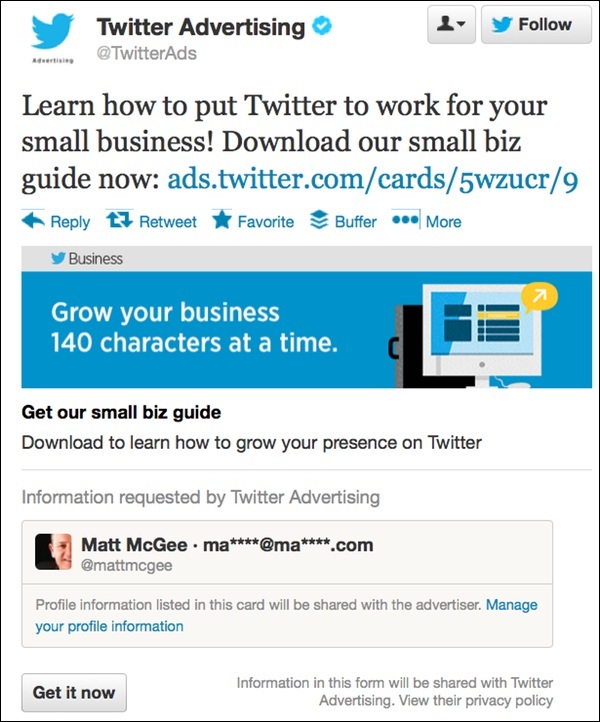 There are two types of advertisements companies can do on social media: sponsored posts and ads. Sponsored posts are posts done by the company to boost the reach of their content that was already published on their social media. Promoted Tweets have shown average engagement rates of 1 to 3 percent—much higher than traditional banner ads (Hoot Suite). The second option is another great way to advertise your company. The difference between ads and sponsored posts is that you create your own ad and can customize everything to your liking. On Facebook, desktop ads have 8.1x higher click-through rates and mobile ads have 9.1x higher click-through rates than normal web ads (Hoot Suite). When you create your own ad, make sure that everything looks professional and is consistent with your company’s marketing ideas. These 5 B2B social media strategy tips should help you get on the right track towards generating even more leads for your company. If you have any questions or need help with social media tactics, feel free to reach out to us at info@flxinteractive.com or check us out at www.flxinteractive.com.